Monday Musings 8.10.15 | Life... Out Loud! It’s time. The Universe is ready. Everything you have been working towards culminates now. Here’s to looking back with affection, grace and gratitude while moving forward toward your destiny. Here’s to living your greatness. Here’s to being who you were meant to become. 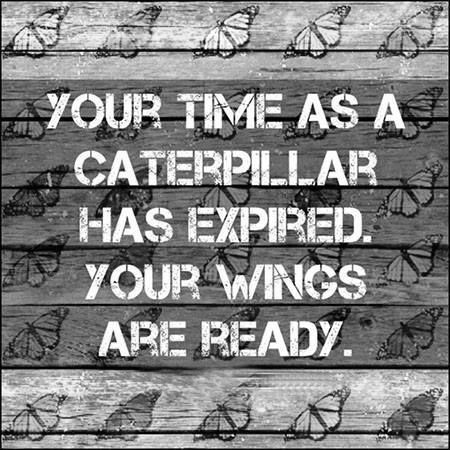 Your time as a caterpillar has expired. Your wings are ready.